new malayalam devotional serial starting son asianet from 16th october onward, sree murugan is scheduled to starting. it is the malayalam dubbed version of tamizh kadavul murugan, which airing on vijay tv. 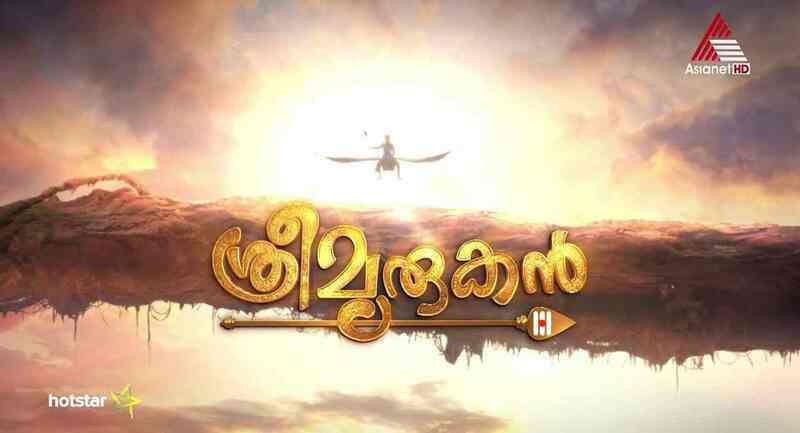 this malayalam devotional serial is telling the story of lord murugan, made up with huge budget and grafix. Asianet started promotions for the same, w can expect a quality serial from the channel. we can check the cast and crew, story details etc of sri murukan serial asianet. they have finalized the launch date and telecast time of this mythological tv show. every monday to friday at 6.30 is the telecast timing of sri murukan malayalam television serial. people started searching about the name of actor who is playing murugan role in this serial. Anirudha is the artist doing the role of murukan character in tamizh kadavul murukan aka sree murukan. Indira Priyadharshini, Sasindhar Pushpalingam etc are the other people appearing in the show. as usual hotstar streaming application will air the latest episodes of the show. Tamil Kadavul Murugan malayalam serial is based on the Tamil mythology Kandhapuranam, which traces the life of Murugan from his birth to Soorasamharam. There will be changes in asianet schedule, they will windup some shows and change the time of telecast. Dare The Fear is an upcoming reality show in the channel, which is expected to launch on 6th october 2017. Cast and Crew of sri murugan serial asianet – Actress Indira Priyadharshini playing the role of parvati in this serial. She is very popular for her character in Mapillai serial, which is airing on vijay tv. as mentioned above, Anirudha is playing the role of divine Lord Muruga. Tamil television actor Sasindhar pushpalingam is playing the role as Lord Shiva. more popular and newfaces doing major characters in asianet serial sree murukan, stay tuned here for more updates.